The County of Grey is a family of distinctive communities which values its heritage, natural beauty, clean, healthy environment and rural lifestyle. As the fourth largest county in Ontario, Grey County is home to more than 92 thousand residents.  Employing approximately 750 people, the County of Grey is dedicated to managed, sustainable growth while also offering agricultural and rural simplicity and big city activities. Grey County is made up of 9 municipalities, which are listed below. Some of these municipalities were amalgamated from smaller towns and townships, and these are listed following the municipal name. The villages of Annan and Leith are a little off the beaten path but reward visitors with natural beauty along Georgian Bay, historic sites like Tom Thomson's gravesite, and a stunning winery - Coffin Ridge. Ayton is at the heart of south Grey's farm country. It is home to both Filsinger's organic apple orchard and (thanks to all that open space) Starfest - one of North Amrica's best night sky events. Ontario's #1 all-season destination has it all: Skiing and boarding in winter; golf, swimming and cycling in summer plus fabulous resort amenities of all kinds. Chatsworth is a historical crossroads where two of Ontario's major routes (now known as highways 6 and 10) merge to the south of Owen Sound. We think of it as a springboard to many good things. At the base of the Niagara Escarpment and the mouth of the Beaver River you'll find the charming villages of Thornbury and Clarksburg, known for fine dining, great shopping, wonderful galleries and a great little beach and pier. Cobble Beach is many things: a community, an inn and spa, a golf course, a wonderful place to eat, and a place to enjoy events year round. Cycle, drive or fly in, or dock your boat at the private pier! Craigleith is rich with history: the first skiers at Blue Mountain came by train to the station and by horse and carriage to the ski hills! Today it is home to four-season activities of all kinds. Dundalk greets visitors to Grey at the very south-east corner of the county, home of big skies, country living and Mennonite culture on the surrounding backroads. Durham is blessed with a conservation area, a waterfall, two beaches and public art gallery all within a stone's throw of one another. Come for the day or reserve a campsite and stay for a while. For decades, Flesherton has been known as the hub for arts, culture and food in southern Grey. It is also a designated "walking village", a great place to stroll of to start a hike. Hanover is a thriving town in southwest Grey, home to lots of downtown shopping, a racetrack and slots, a rec complex, theatres (live, movie and drive-in), a comprehensive trail system, paddling access points and lots more. Heathcote may look like a "blink and you'll miss it" village but it has lots to offer! Holstein is the little village with a huge heart, home to some of Grey County's most popular events: Holstein Maplefest, Holstein Rodeo and Country Musicfest and the famous Holstein Non-Motorized Santa Claus Parade. The name "Keady" means one thing: the Keady Market. Thousands of people stream to the village of Keady every summer for fresh produce, home-style baking, meats and cheese and lots and lots of other items. Whether you're enjoying stunning views of Georgian Bay form the historic Women's Institute monument or enjoying country hospitality during the Kemble Maple Syrup Festival, this is a great place to relax and unwind. Kimberley is a little village at the heart of many good things: the Beaver Valley and Bruce Trail, hiking, paddling, car-touring and cycling routes. Markdale has been a hub for central Grey County for many decades. In the heart of cattle country, Markdale is home to Canada's frozen treat maker, Chapman's Ice Cream. Owen Sound is the urban heart of Grey County. Protected by the Niagara Escarpment, Owen Sound is a beautiful, green city home to cultural riches. The picturesque village of Priceville is home to one of the area's greatest Canada Day celebrations. Come winter, enjoy a skate on the outdoor rink! Be sure to try the home-cooked treats at the Priceville General Store. The hamlet of Ravenna may look like a dot on the map, but a visit to the Ravenna Country Market for food and travel advice will prove otherwise. Amazing cycling, hiking, apple picking and wine-tasting are all just a stone's throw away! Many visitors turn west at the lights in Rockford on their way up the Bruce Peninsula, but continuing north or turning east will bring you to great things including an auction house, flea market and craft brewery. Shallow Lake boasts the perfect pond for shinny (bring your shovels) and the Shallow Lake Arena is home base for the Highland Dames roller derby team. Singhampton is a village due south of the Blue Mountains; the perfect spot to stop for a stroll and a bite on your road trip. Springmount boasts one of Grey County's biggest visitor service centres in the Owen Sound Transportation building (buy your tickets for the Chi-Cheemaun ferry here). Be sure to hike the Bruce Trail to Jones Falls while you're here! At the base of the Niagara Escarpment and the mouth of the Bighead River you'll find the charming villages of Thornbury and Clarksburg, known for fine dining, great shopping, wonderful galleries and a great little beach and pier. Varney is all about motorsports. Known best for Friday night stock-car races, Varney is also on the OFSC Distict 9 snowmobile trail and there's a motorcycle shop nearby. This tiny village on Highway 6 offers some unique attractions right on the main highway. Visit the Williamsford Mill, pick up a pie at the Williamsford Pie Company or take the turn on MotoPark Road for some great off-road action.